Nearly 20 years ago when we first sailed to Kusadasi, our gulet, a traditional Turkish sailing vessel, docked in a modest marina across from a row of open-air shops. We came to explore nearby Ephesus, one of the Mediterranean's most impressive ancient sites whose ruins detail life in the once-powerful Greek and later Roman city. Upon returning to Kusadasi, our guide herded us into what he swore was "the best carpet shop in Turkey." In between sips of thick Turkish coffee, we haggled with the owner, eventually settling on a blue Hereke, which we stowed in the yacht before dining at the simple dockside eatery. Remarkably, our rug's much the same, but everything else has changed. 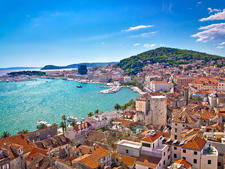 Now the former seaside village's population hovers around 50,000, streets bustle with tourists, rug shops bloom in high-rise buildings, and an air-conditioned shopping mall with sleek jewelry stores and European fashion boutiques anchors the modern port. What Kusadasi lacks in charm it makes up for in locale. At Ephesus, about nine miles from town, you'll travel back thousands of years. The Terrace Houses, now open to the public, make the centuries-old city even more enthralling. Despite Kusadasi's crowds, you can still find an outdoor cafe to sip Turkish wine, savor just-caught fish and enjoy the sea breezes. You'll tie up very close to the action. 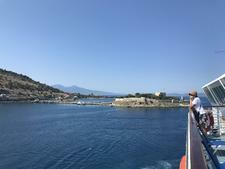 Cruise ships dock at Kusadasi Port, built on an "arm" that stretches out into the main harbor. The shops spread out from there. The modern cruise port terminal, just across the street from the main part of town, features shops, outdoor cafes, a seafood market and a modern mini-mall called Scala Nuova. Like malls in the U.S., some spaces are empty, but others stock European fashions, Western brands like Diesel and Birkenstock, and Turkish delight, pastries, and other sweets. Starbucks fronts the sea, and the cafes serve wine, beer and mezze, the Turkish word for appetizers. The port contains a Burger King and several pizzerias. The facility also has a duty-free shop, which you can only access on your way back to the ship. Jewelry stores selling zultanite, a gemstone also known as Turkish diaspore. Mined only in Turkey's Anatolian mountains, the gemstone isn't widely distributed in the country. Many shops claiming to sell zultanite rings, brooches and necklaces substitute colored glass for the stone. 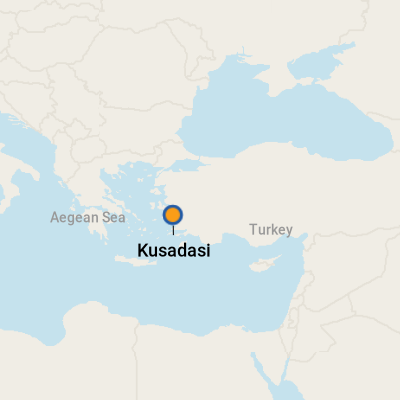 On Foot: Kusadasi is easily explored on foot. Your ship will provide a map of the area, but you can also obtain one from the Kusadasi Tourist Information Office, across the street from the harbor in the Iskele Meydani (+90 256 6141103). By Taxi: Ephesus is the focal point of a call at the port. If you're not headed there on a ship-sponsored excursion, organize a private taxi trip. Taxis are readily available. Make sure you confirm the price before setting off, and be sure your driver will drop you off at one end and pick you up at the other. Less expensive than private taxis, the minibuses (dolmus) accommodate up to 15 passengers. 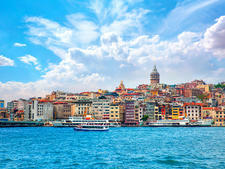 By Car: Kusadasi has car rental agencies. It's best to reserve vehicles ahead of time. Make sure you have all the necessary licenses and insurance. The currency is the Turkish Lira, and ATM machines abound. Check xe.com or oanda.com for current exchange rates. Many shops and restaurants are perfectly happy to accept euros and dollars, although the exchange rate may not be quite what you expect. It's Turkish, but most of the locals know enough English to get you by. Kusadasi's waterfront is the best place for everything from a quick snack to fresh fish. Try the cheese rolls -- a traditional Turkish mezze that consists of phyllo dough surrounding ricotta cheese. There is a handful of waterfront cafes from which to choose, but locals insisted we try Kazim Usta (16B Balicki Limani), just to the left of the cruise terminal. Specialties include calamari and sea bream. Turkish carpets dazzle with rich colors and intricate patterns, but know how to judge them and be sure to bargain, bargain, bargain. Even on a strict budget, you can bring back Turkish delight, sweet jellied fig candies flavored with mint, orange, lemon or pistachio.